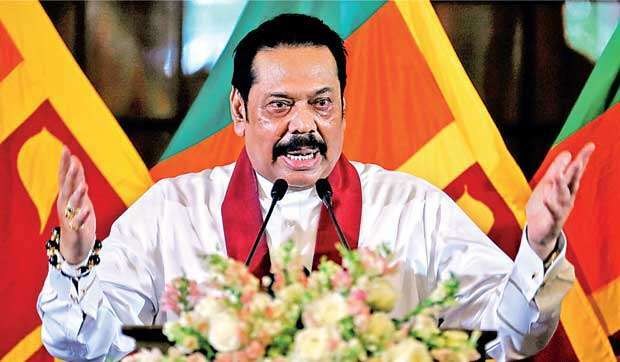 Assuming duties as the Finance and Economic Affairs Minister yesterday, Prime Minister Mahinda Rajapaksa hinted towards his plans to return Sri Lanka to the inward-looking economy that he had built during his presidency from 2005 to 2014. While acknowledging the important role foreign direct investment could play in Sri Lanka’s economic advancement, Rajapaksa said domestic production and the agriculture sector activities would be actively encouraged for import substitution. This policy stance stands in contrast to the policies followed by the Ranil Wickremesinghe administration and its Finance Minister Mangala Samaraweera. The Wickremesinghe administration was actively propagating a more outward-looking economic policy through expansion of foreign trade and maintaining an open-door policy for foreign investments and immigration. During the almost four-year administration of Wickremesinghe, Sri Lanka actively pursued trade deals with regional nations and a number of laws were repealed or amended to facilitate the outward-looking economic policies. Sri Lanka entered into a comprehensive free trade agreement (FTA) with the city state Singapore and was actively pursuing an extension to the existing FTA with India. Negotiations were also underway for a free trade deal with China. These trade deals however were evidently making a lot of Sri Lankan industrialists uneasy. Rajapaksa addressing the Finance Ministry staff yesterday said local production should be encouraged by supporting local industrialists and stressed the taxes imposed on them should be reasonable. “You should impose taxes on businesses. But that should be according to their capacities to pay taxes,” he said. During Rajapaksa’s presidency, a number of local industries were protected by slapping high taxes on imports. Meanwhile, Rajapaksa urged the need for a stable economic environment and exchange rate. He said the revising of fuel prices every month doesn’t help creating a stable and predictable economic environment. Rajapaksa said under his management, Sri Lanka’s budget deficit was brought down from over 10 percent to 5.2 percent in 2014 and the debt to gross domestic product (GDP) ratio to 71 percent, from 91 percent. He further said the rulers should always be mindful of the cost of living of the people, despite the global developments such as high crude oil prices. Meanwhile, touching on Sri Lanka’s hefty external debt repayment obligations, Rajapaksa said Sri Lanka has an unblemished track record in paying loans, has never defaulted and would not default in the future. Sri Lanka’s external debt stock is equivalent to around 60 percent of GDP and almost 30 percent of this (US $ 15 billion) is due to mature between 2019 and 2022.